On what can only be described as a miserable Tuesday, the atmosphere in the 3Arena is somewhat sombre – it’s January, it’s not Friday, and the weather is tumultuous. However, as the screen onstage flashes to life and counts down from four (this is the Everything Is Four tour so expect a lot of that), the arena is suddenly filled with newfound delight. Cue the symphony of screaming and cheers as Jason Derulo appears on stage with a live band and troupe of dancers. Suddenly the entire atmosphere moves from dreary to an almost Vegas-esque flamboyancy. From the tight pants to the tight choreography, Derulo is ready to bring the much needed energy to the capital on this windy evening. 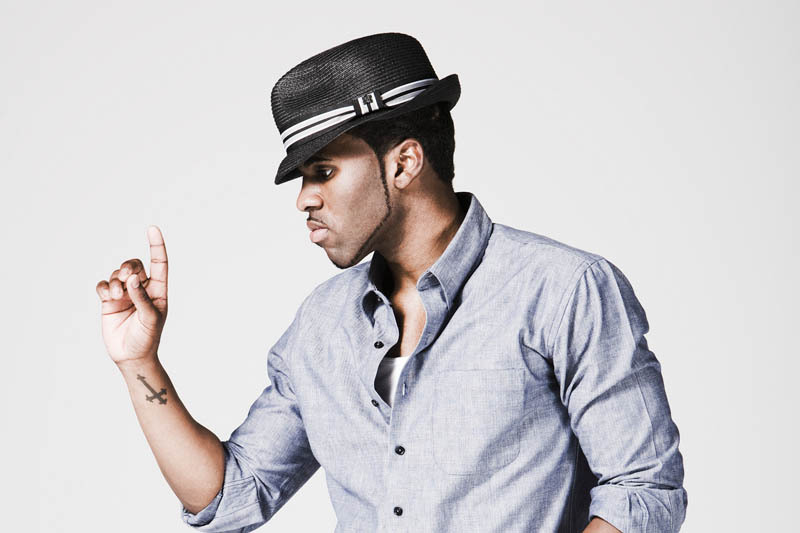 It’s only been two years since he was last on Irish soul but in that time his latest album, Everything is 4, has brought us all the dancefloor anthems and intros of ‘Jaaaaaaason Derulo’ that you could need. On top of that, his number one track ‘Want You to Want Me’ and collaborations with Meghan Trainor and Jennifer Lopez mean that it’s an hour and a half of non-stop hip-hop and R&B. There’s a good mix of old and new as he opens with ‘Trumpets’ and the infectious ‘Wiggle’ before progressing to older classics such as ‘Ridin’ Solo’ and ‘In My Head’ before bursting in to his current single, ‘Get Ugly’. As you look around, it’s safe to say the audience are no strangers to bumping and grinding to his tracks on a Saturday night – they nearly outdo the band as they scream ‘Get Ugly’ back at Derulo. But there’s a more delicate side to the singer as well, moving into his slower tracks like ‘Secret Love Song’ with a hint of Michael Jackson presence in both his vocals and dance moves. There’s a sort of underlying emotion to his singing, and his vocals are undeniably poignant at this point. However, that sensitivity doesn’t last long (it wouldn’t be a Jason Derulo concert) without him ripping his t-shirt off and distracting the crowd with a little pec flexing. His interaction with the crowd is admirable, particularly during ‘It Girl’, as he engages with the luckiest members at the very front of the stage before bringing a die-hard fan onstage to serenade her directly. His vocals are great but his charisma is perfection. At one point he appears in the audience and is sitting no more than three seats away from me – these days all performers engage with the audience in some form or another. Derulo manages to plunge himself in the thick of it, teaching fans how to do the dance to ‘Pull-Up’ (you pretend to drive a big truck, then pretend to drive a smart car), and this only seems to drive his fans even more wild. Arguably, there are a lot of costume changes and what feels like hours of unnecessary filler in the set where Derulo is nowhere to be seen – it’s a nice exhibition for his incredibly talented dancers to display their indisputable abilities but it is drawn out at points. However, no one can deny that whenever he reappeared onstage, Derulo is a devoted entertainer and certainly livened up everyone’s Tuesday night.